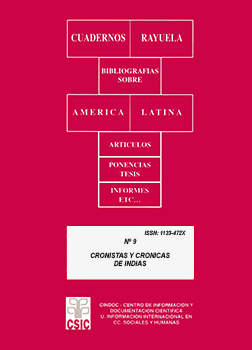 Bibliographic collection on Indian Chronicles, which includes articles and papers published in Spain between 1975 and 1996. The bibliography is a byproduct of the ISOC database. Physical Description : 116 p. : 28 cm. This book was added to our online catalog on Monday 26 August, 2013.